Male: CEOs, civic leaders, entertainers, and entrepreneurs, they all have something in common, the drive, vision, and heart to achieve success. Steve Klein is a renowned business consultant, author, and host of PlayMakers Talk Show. Each week, he introduces you to fascinating personalities who will inspire, educate, and motivate you to persevere and find your own success. And now, here’s Steve Klein. Steve: Thomas Edison said, “There’s a better way to do it. Find it.” Welcome PlayMakers Talk Show, I’m Steve Klein. In the studio today are two playmakers who have found better ways. With us today is a founder who has done more than $1 billion of real estate transactions. Our next CEO has over 500 people and 9 offices in the U.S. These great playmakers are Kurt Carlton, founder of New Western Acquisitions, and Bruce Ballengee, CEO, and co-founder of Pariveda Solutions. We’ll begin today’s show with Bruce. Bruce Ballengee founded Pariveda Solutions in October 2003, during the worst IT recession in history. An idea drove Bruce. In any professional practice, talent represents the best sustainable hope for long-term success. He created a company based on the idea that talent can be differentiating. Bruce financed Pariveda with his assets, creating a unique but sustainable business model based on talent development. Pariveda is now a leading management consulting firm specializing in improving their client’s performance, having grown to over 500 people based in 9 offices in major U.S. cities, with 2015 revenue of $83 billion. Pariveda Solutions solves the complex problems of clients, ranging from Fortune 100 to Global 2000 to startup companies and spanning multiple industries. Well, Bruce, welcome to PlayMakers Talk Show. Steve: Now, a question I want to ask you, which is, on your website, can a technology consulting firm be successful by focusing first on growing the individual to their fullest potential? Bruce: So the short answer is a glorious yes, and we’ve certainly proven that with our success as a company. To kind of break that down and kind of take that apart a little bit, if we think about it, just how important on a project, 7 people, 60 people, however, larger projects, some are very large, and you think about, “Well, how does that really happen? Where does it really come together?” And if we get down to it, it comes down to a handful on a very large project or a handful on a small project, which is almost everybody, of people doing exceptional, having exceptional performance. That’s really what moves the needle when it gets to success. And so, that’s the essential idea at the individual level. And it works collectively too because those individuals are doing something for everybody, everybody on the team, everybody at the company, everybody for the company’s customers, sometimes it’s a save-the-world company, right, trying to find a new drug to cure cancer. Steve: Well, apparently, it’s worked pretty well because you’re just coming up on 13 years and you’re very successful. So the focus is on people and helping develop their potential, which I’ll ask you about in just a few moments. But what do you do? What is Pariveda Solutions? Bruce: So we are a management and IT consultancy, meaning we’re doing a whole range of stuff. I describe this as being rather eclectic. We are relationship-driven, so 85% of our business is from referrals or repeat clients. It’s a people business, it’s one-to-one, and then it gets to one-to-many when they bring us into their organizations. And so, folks move throughout their careers. So sometimes, someone’s in a Fortune 500 company and they’re a C-level exec. The next thing you know, they’re off doing a startup. And maybe they’re not the CEO. Maybe they’re just, you know, having the blast of their life. And each time they move, they call, they have some need. Is it the same need each time? No, it’s different stuff. So, generally, they’re calling us because they know we are very good at kind of dissecting a problem and coming up with a very elegant solution. And so, that’s where talent comes into play. And of course, the talent of being able to establish trust and maintain a strong relationship. Steve: Now, in your nine, I believe nine different markets in the United States, are there any specific target markets, industries that you’re working with altogether, or is it different in each market? Bruce: So one of the ways we think about markets is as metropolitan areas, we want to be in the largest metropolitan areas in the world. And one of the beautiful things about them is, even though they may be specialized–we think about London for finance, or Tokyo for finance, New York for finance, Houston for energy, etc. Dallas has a lot of retail–when you peel back the layers, though, all of these great huge markets have almost everything. And so, we don’t generally focus on a particular industry, if you aggregated at the company level. So in New York, sure, we do a lot of retail and a lot of finance. In Houston, shocking, we do a fair amount of energy. You pull it all together and we’re across the board. There’s no industry that represents maybe more than 10% or 11% of our business. I hesitate, it’s rarely over 10%, but I think we might have some creeping into the, you know, 11% or 12% range at this point. Steve: Well, you have an interesting business model, which is all based on potential. I found this on your website, and the website, by the way, is parivedasolutions.com. You have about…I’m looking here…about eight different key areas in the business model. How did you come up with that and how do you apply that to your people? Bruce: So our business model, if you take the mission of, “Hey, we’re about developing the individual to their fullest potential,” that really changes a lot of things in our industry. The consulting industry, like most industries in the traditional sense, it’s geared about, “Hey, we need to identify customers, and we need to generate transactions,” which is well and good. And the best practices in our industry is to be a “just in time” employer, as the path to sustainability is a “just in time” employer. So I don’t hire that skill before I need it or until right before I need it, and if I don’t need that skill anymore, to the degree of how elegant and effective a manager I am, I counsel them out or I fire them. That’s considered a best practice, it’s a tried and proven 60-, 70-year-old industry. So what we said is, “You know, there’s another way of looking at this, a very orthogonal way. Take it from a completely different direction and say, you know, the scarce resource is not the customers and not the need to do projects.” Everybody has something really important that they need to solve. Sometimes, they don’t know what it is, and oftentimes, they don’t know how to solve it. So that’s not the constraint, right? The constraint is having what I’d like to call the effective executive, and all the way down through, you know, the proto-executive, who is a young college student starting right out of school. The proto-executive, if you will, that, you know, 23- or 24-year-old and that’s who’s scarce. In the traditional model, good companies, and there are many excellent and great companies in our industry and all, they appreciate the value of talent, and they appreciate the moral imperative of, “We need to take care of our people.” And they do a lot of things to achieve that. But what they haven’t done is they haven’t built their entire model around that principle, which is what we’ve done. So it creates a massive shift when you’re maximizing on that. And so, we’re in a very large consultancy, they might think, over the course of time, from a college hire or a young hire with some experience making it all the way to the executive ranks that, you know, it might be one in 1,000, it might be one in 3,000 that will actually achieve that. That’s why they’re so scarce. So, what if we thought about the other way? What if we can make that one in 100 or one in 50? And so that’s our model. And so far, it’s working very well. Steve: Well, as you’re talking about that, I was looking at your business model. The first one, this is really where that caught my attention, recruit for passion, character, and potential versus skills and experience. So you’re looking at it from the other end of the spectrum and finding a larger group to work with, and developing them yourself. Steve: Well, we talked about this a little bit ahead of time. But, really, how did you develop your leadership style to run a company like Pariveda Solutions? Bruce: So I kind of talked about it. I think about it as coming at two stages. So the first stage. I was at large consultancies and I finally reached the point where they said, “Bruce, you have a team.” And so, okay, to some extent, I’ve got a license to run a team as I see fit. And so there’s a lot of opportunities to experiment and try different things and be successful. And a team or a project being successful is…it’s different, but in many ways, it’s also easier than making a department successful or an institution successful. But after quite some time, I left the consulting industry to go into an IT department, lead an IT department at a Fortune 500 company. And again, I felt like, “Okay, I’ve got a free rein. And at least in the first 90 days, they’re going to be too embarrassed to fire me, you know, for any radical changes I implement.” And I made them. I put forth a whole bunch of radical changes that I really wish my clients would have implemented in all the years I was consulting to and many times suggested to. And so again, it was another experiment that was highly successful. And from there, it was more, “Okay, now, I’m going to go into starting small businesses.” And the same thing’s worked again. Obviously, with learning along the way, adaptation, and whatnot, it’s not like we started where we are now. Steve: Well, it’s continuous improvement, you say, as you keep doing it. Steve: Something else that caught my attention are your five core expectations framework dimensions, which is really what your people do. Professional, architect, leader, coach, and advisor. So for all intents and purposes, this is what you’re selling to your clients. Is that correct? Bruce: Correct, that’s what our clients value, ultimately. They’re going to trust advisors, they’re going to trust an architect, they’re going to trust a professional, and the combination of, and that’s the key, and again, that’s reflected in our high referral and repeat rate. Steve: Well, when it comes to a consulting firm, a consulting business, the five-letter word “trust,” I would think, is the most important word that you have in your business because, without that, first of all, they’re not going to do business with you, and second of all, you couldn’t sustain that relationship. So how do you develop that trust with your client? How do you get your people to develop that trust? Bruce: So for our folks, what we teach is, first, think about at the beginning of a relationship, be prepared to give, and be prepared to give your ideas, give your thoughts, share your best ideas. And particularly for a new, I would say, a new junior exec, it’s often difficult because they’re like, you know, I’ve heard many times, “Bruce, you know, we could sell that as a project, you know, for tens of thousands of dollars and give them that advice.” And I’d go, “No, you know, let’s take them to lunch and have an hour-and-a-half discussion. And if it’s a good fit, then there will be a much larger project that will come from that.” And we’ll never do that little project. But we’ll have established a lot of trust with them and shown them that we have some ideas and some capability. So that’s kind of a start. Along the way, life inevitably has its ups and downs. And there are the good days to celebrate together which do build some trust. And there are some bad days where things go wrong, and it’s time to step up to the plate and accept ownership and accountability. And so by demonstrating that, that goes an extraordinary way towards building trust. Steve: Yes, it’s apparent why your business is so successful. You are definitely a playmaker. Bruce, thank you very much for being a part of PlayMakers Talk Show. Steve: Before I forget, tell everybody how they can find out more about your company. Bruce: Just our website, parivedasolutions.com. Steve: Bruce, again, thank you. Bruce Ballengee is CEO and co-founder of Pariveda Solutions. We’re going to be taking a short break. Be right back. We’re going to talk to the founder of New Western Acquisitions. His name is Kurt Carlton. Back with Kurt right after this. Male: Wipe Out Kids Cancer is a Dallas-based nonprofit organization founded in 1980 dedicated to raising awareness and funding for pediatric cancer research on a national basis. Wipe Out Kids Cancer has raised over $4 million in the crusade against pediatric cancer and spent over 30 years developing programs to not only fight childhood cancer but to also provide help and support to kids and families battling cancer. Our mission is to work relentlessly for a day when children are living cancer-free. You can help make a difference. Go to wokc.org to donate or volunteer. That’s wokc.org. Female: Operation Kindness is the original and largest no-kill animal shelter in North Texas, having saved more than 80,000 cats and dogs over almost 40 years. On a day-to-day basis, Operation Kindness cares for approximately 300 cats and dogs, with another 150 in foster homes. In the past 12 months, more than 4,200 homeless cats and dogs have received medical care, clean shelter, nutritious food, and playtime until they were adopted into a new forever home. Go to operationkindness.org to adopt or foster a dog or cat, donate or volunteer. That’s operationkindness.org. Steve: And welcome back to PlayMakers Talk Show. Again, I’m Steve Klein. We’re here with another playmaker. His name is Kurt Carlton. Kurt founded New Western Acquisitions in 2008, and has since purchased and resold more than 8,000 distressed homes, and is currently the sixth fastest growing middle market company in Texas according to the Dallas Business Journal. 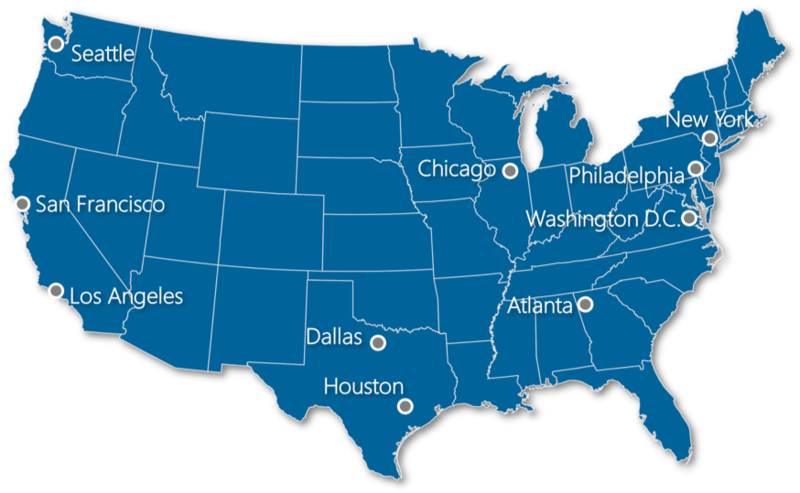 New Western Acquisitions is a national wholesale investment brokerage company in 13 metro markets. Every year, New Western Acquisitions acquires thousands of homes in a distressed condition, providing a vital role in restoring communities by facilitating the rehabilitation of these homes and returning them to the market in top condition so they can be purchased, lived in, and enjoyed. Additionally [SP], in real estate acquisitions, Kurt has helped thousands of other real estate investors with their careers by extending property financing. “Housing Wire Magazine” named Kurt the giant of investor lending. Well, that’s interesting. Kurt, welcome to PlayMakers Talk Show. Kurt: Thank you. I’m glad to be here. Steve: Well, the question I want to start with is how did you find your home in real estate? Kurt: I would imagine I would describe it as I was displaced into real estate. Our company is very much a product of the Great Recession from 2008. And I’d found myself, like a lot of others, unemployed. And the company I had worked for went out of business. And I could either go find another job or look at this as an opportunity to start a business at such a great time, what we perceived as a great time. Steve: You can’t get any worse than when you have that Great Recession. So, one door closed, another one opens. But did you have a real estate background prior to starting your businesses in real estate? Kurt: I did. I actually had a real estate acquisition and lending background similar to, well, you know, same general space, but very different from what we’re doing now. Steve: Well, how would you define distressed property? Kurt: Well, it’s not just always the house. Sometimes, it’s a very basic situation where somebody doesn’t want to take the time to list their house and have 100 people walk through, and they don’t want to deal with it for six months while they wait for it to sell. Sometimes, it’s just kind of a convenience thing. Sometimes, it’s someone who works 80 hours a week. They’re already trying to get by in life and they have a loved one, maybe a parent that they lost and they have a home that maybe wasn’t taken care of very well, and in order to get it back on the market, they have to spend $50,000. Well, they just don’t have time for that. And that’s a solution that isn’t widely available in the market and a niche that we feel very well, and it’s a huge benefit to those individuals. Steve: So you’re putting these homes together for someone that can purchase those, rehabilitate and restore them and then sell them. Is that correct? Kurt: Yes. So, early on, when we decided what we wanted to do, what the obvious thing was, “Hey, it’s 2008. Everything’s massively on sale. Let’s go buy everything we can, and stick tenants in it, and cash-flow them, and make all this money,” a lot of a lot of these very successful hedge funds have done. But we realized that there was a window for that, and that was going to close, and that, frankly, just wasn’t big enough for us. And what I mean, “big enough,” it wasn’t a big enough impact on the industry. We couldn’t bring enough value really to the world with that. So our solution was to partner with these local grassroots real estate investors, and we filled just this really important part of the transaction, which was the acquisition. So they could focus primarily on what they do best, which is rehabilitating the house and putting it back on the market. They just spent so much time trying to find the house, and they didn’t have a lot of time left over to do their jobs otherwise. So we just filled that one part of the transaction. Steve: Well, talk about the technology you developed, because that really seems like it’s a major company. How did you develop that and what does it do? Kurt: So technology is everything for us. We realized that the real estate market, the 2008 crash was a big sign that realtors weren’t really prepared for this asset class. They were happy with the house that you know, they could stage, and it looked really pretty when they walk through. But they had a very difficult time with the distressed assets. And we came in and kind of capitalized on that inefficiency, I guess and served that market. And that’s what we did. So the technology… So we realized early on that, when it came to distressed properties in 2008, it was a clear indicator that the realtors, they just weren’t really prepared for that asset class. They were really good at dealing with these retail homes that they could show that looked real nice, but 35% of the homes on the market were distressed, and that’s where we came in. So we used technology really to find those opportunities. We partnered with the local MLSs to aggregate that data, run algorithms to determine, you know, certain opportunities, and to be notified on those very quickly. And now we’ve really taken that technology as kind of the foreclosures that are available on the market have kind of dissipated, thanks to the local real estate investors. Now we’re focused mainly on a lot of home sellers that are in either distressed situations or just want the convenience of a quick sale. And we have an application now, surprisingly, where the homeowner can actually simply put in their home address into the website and instantaneously receive a cash offer on their home. They don’t have to talk to anyone. They just get to see immediately what we will pay, and then they can decide at that point if they want to take the next step to have us come out there and finalize that transaction. Steve: And the convenience factor must be fantastic for them to know that can happen if they don’t want to have all the other hassle going along with it. What’s the cost? Kurt: There is no cost. In fact, we try to take away a lot of…its all about convenience. So we try to add as much value as we can to a home seller. A lot of these individuals, like I mentioned, the guy that’s working 80 hours a week and he just has this house falling in his lap he doesn’t know what to do with. Well, in a situation like that, oftentimes when we purchase it, we’ll also do like the trash-out, which is removing all the material on the inside that they would otherwise have to find out what to do with that. You know, they can come get their belongings that they appreciate of their loved one in that situation, but we’ll take out all the rest of the stuff. Otherwise, if it’s a situation where an individual needs to move quickly or they’ve been relocated, we’ll handle that move for them, schedule everything, do all that. We just try to make it as convenient and as easy as possible. Because one thing is clear today to anyone that’s purchased or sold a house, it is probably the most stressful thing next to, maybe, getting a divorce, right, or having a child. It’s just an incredible event in your life, and it’s very complex and it doesn’t need to be that. Steve: It’s high on the stress level. So it sounds like you’ll do whatever it takes to help that tenant, that person living in that home, to get out of that property as conveniently, with as little stress as possible, into their next home. Kurt: If it’s important to them, we’ll do it. It’s not always important, but we do offer that if that’s an important factor. Steve: Well, since technology is so important to New Western Acquisitions, what’s next for you? Where’s the growth in what you’re doing? And a lot of the technology we’re rolling out helps them do their job better, helps them make more money, not at the expense on the homeowner, but just little things they do to make the houses sell for more and better design tips. We just recently released a piece of technology called New Western Comps, which allows them to have access to the same data that we have access to in order to evaluate the future potential value of the property. So they no longer have to rely on us or our realtor. They can look at all the data, do all the calculations, figure out what their return on investment is, and they can do it in like, literally, 60 seconds while they’re on the front doorstep, do all that really complicated math so they can make a decision really quickly and acquire properties faster. And that’s for everything, not just the properties they buy from us, but when they buy them from other people, we just give that away. Steve: So you make it much easier for the home seller and those home buyers. They’re turning those homes and fixing them up. Kurt: That’s the idea, just make it easy for them. Steve: Well, you’ve been in business for approximately eight years. Any mentors or anybody that has helped you significantly get to where you are now? Kurt: Absolutely. And a lot of the unlikely candidates, you know, that you wouldn’t expect in that. Steve: You’ve been in business for like in about eight years. Any specific advice you’d give to somebody that either want to start a business or more specifically get into real estate? Kurt: So you see people start businesses every day, and there’s a lot of romantic feelings around starting a business, and lots of people think about it. But I think they really under evaluate not just how tough it is–everybody says that–but the minutia, you know, the drag it is sometimes, and you’ve really got to get through it. And those tough times when you lose your passion or it’s just not exciting anymore like it was in the beginning, you have to have this “why.” So I would say, you know, you’re only going to go eight years and be strong at this if you have a really strong “why.” And that’s oftentimes, like, a really confidential thing, and it’s got to be strong, it’s got to be something from your roots. It can’t be just this, “Hey, I want to be financially free. I want to do this.” A lot of times, it has to do with people in your past that have held you back or maybe you’ve had a messed up childhood, like a lot of people. Something like that, you know. You got to find it, you got to hold on to it, and that’s got to drive you. Steve: And once you do that, that gives you the direction, that “why ” and you can deal with all the negatives that happen. Because the business is not perfect. Bad things do happen. And you can get through those. Kurt: It gives you the strength to endure. Steve: That’s probably the best way to put it. Kurt: That’s really what it gives you. Steve: Well, tell everybody how they can find out more about New Western Acquisitions. Kurt: You can visit our website, everything’s there, newwestern.com. Steve: Newwestern.com and you get to it, and you’ll see a neighborhood right there, you can type your ZIP code in, you can go from there. Kurt, thank you very much for being a part of PlayMakers Talk Show. Kurt Carlton is the founder of New Western Acquisitions. Our first guest was Bruce Ballengee. Bruce is CEO and co-founder of Pariveda. And again, as I mentioned, Kurt Carlton, founder of New Western Acquisitions. This has been a great show. Thank you both to our guests. You are definitely playmakers. Thank you all for listening to us. Join us at playmakerstalkshow.com, where you can get all of our replays and past episodes. That’s playmakerstalkshow.com and we’re going to be back with more playmakers next week. See you then. Male Steve: You’ve been listening to PlayMakers Talk Show with Steve Klein. Join him again next Friday at 3:00 p.m. for another sit-down with DFW’s most interesting playmakers.